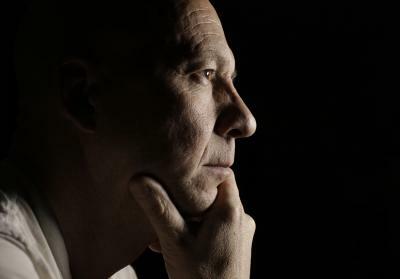 A new study published in the National Bureau of Economic Research addresses the "mid-life crisis" that has become somewhat clich?. Based on surveys from 1.3mm people in 51 countries, this clich? may have scientific grounds. The study found that the lowest point of life's satisfaction comes around 50, with the high points around the early 20's and then again at retirement. Regardless of your age, you don't need to feel unhappy about the end of the LIBOR, as there are alternatives which could prove even better. You've probably heard the chatter about replacing LIBOR as the benchmark for financial transactions. That chatter is turning into action with the Federal Reserve now accepting public comment on a proposed benchmark to replace LIBOR. If you've been waiting for direction on how to plan for future loan transactions at your community bank, this may be it. While the change to a new benchmark is not finalized, the fact that the Fed has provided its proposal for comment indicates that the change process is in motion. Although changes will not take effect immediately, it is important that community banks begin carefully reviewing how they currently use LIBOR and what needs to be done to replace it in their loan documents and calculations. The new benchmark proposed by the Fed is called the Secured Overnight Financing Rate (SOFR) and is based on data covering almost $1T in daily US Treasury overnight repurchase, or repo, transactions, as reported by the Bank of New York Melon (BNYM) and the Depository Trust & Clearing Corp. (DTCC). In a news release, Federal Reserve Board Governor Jerome H. Powell said, "SOFR will be derived from the deepest, most resilient funding market in the United States." The Fed is counting on SOFR to be a more effective market benchmark than LIBOR, which was somewhat tarnished by a rate manipulation scandal involving some major banks caught in a scheme to manipulate LIBOR rates. Community bank customers may not be aware of the issue, so it can be helpful for community banks to make clear to loan customers that a new benchmark is on its way and how it works. One effect of the change may be a lower benchmark. Several large banks have estimated that the SOFR index could range between 10bps lower (based on historical averages) to 20bs lower (based on current Libor-Fed Funds basis) than LIBOR. While SOFR is touted as the broad-based viable replacement for LIBOR, the Fed plans to publish two additional benchmarks for use in other calculations. The Tri-party General Collateral Rate (TGCR) would be established with triparty repo data just from BNYM. The Broad General Collateral Rate (BGCR) would be based on the triparty repo data from BNYM and cleared repo data from DTCC. Of course, SOFR and the other benchmarks still need to be accepted and adopted as new standards by financial institutions. Also, sufficiently liquid interest rate futures and swaps markets for the new benchmarks will have to be developed for widespread adoption. If the new standards are widely adopted, some banks may find that their loan documents are provisioned for a LIBOR replacement while other banks may require significant modification (depending on the complexity of the loan documents) particularly if existing floating-rate loans need to be recalculated over the term of the loan. In short, it might not be as easy as simply inserting SOFR wherever the term LIBOR now exists. Community banks may have little choice but to knuckle down and figure out how they are going to deal with the shifting landscape of loan rate benchmarks. The Fed is not expected to start publishing the new index until sometime in 2018, and market adoption is not expected to be mainstreamed until around 2021. Given that timeline, there is still time to plan and prepare. But sticking with what a bank now uses as a benchmark for loan calculations may not be an option for much longer, whether you are happy about it or not. Yields shot up 8bp as Hurricane Irma hit Florida less forcefully than expected. Mobile app Zelle, backed by 30 large US banks, will launch today. This is a big deal as the service allows users to send or request money using only a phone number or email. It will also work with debit cards. The service is a direct competitor to services such as Venmo (owned by PayPal), PayPal, Square Cash and Apple iMessage (coming soon). Although the Fed has been hoping to increase rates one more time this year, the uncertain outcomes of Hurricanes Harvey and Irma may cause a delay. Fed Pres Dudley said Hurricanes Harvey and Irma are devastating, but in the long run will actually lead to greater economic activity as the economy snaps back. 1) Opportunity Bank of Montana ($704mm, MT) will acquire Ruby Valley Bank ($90mm, MT) for about $18mm in cash (55%) and stock (45%) or about 1.29x tangible book. 2) BancFirst ($7B, OK) will acquire First Bank & Trust Co ($280mm, OK) for an undisclosed sum. 3) BancFirst ($7B, OK) will also acquire First Bank of Chandler ($90mm, OK) for an undisclosed sum. 4) Associated Bank ($30B, WI) will acquire wealth management firm Whitnell & Co. for an undisclosed sum. The move adds $1B in assets under management. The Financial Times reports Deutsche Bank says automation is expected to replace a large portion of their employees as the bank continues to make progress in their 5Y restructuring plan. Deutsche Bank notes some jobs will be "upskilled," but many will disappear as technology and robotics takes over.